Wild-O-Tron 3000™ Slot a stunning creation by NetEnt is readily available on Wicked Jackpots. Have a glimpse of this robotic themed slot and spin its 5 reels for chances of winning big. This 20-win slot is perfect for the sci-fi fans who enjoy the tech world. Create an account here and wallow in this marvel! 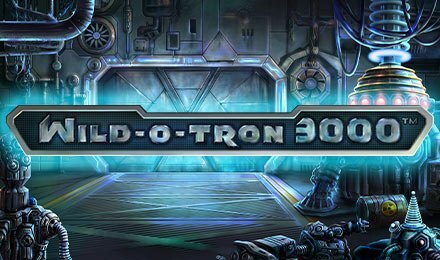 As soon as you start playing on Wild-O-Tron 3000™ Slot, you will be propelled into a sci-fi world loaded with robots. To get started, check out your betting setting and customise each one according to your likes. Enjoy this visually pleasing online slot machine via your mobile, tablet and desktop devices. You can play on the go or play at the comfort of your dwelling place. The choice is all yours! Have you ever wondered where the word robot comes from? It is derived by the Czech word robota! Cool, right? Bet Levels: The Bet Levels on Wild-O-Tron 3000™ Slot ranges from 1 to 10. Amount of Paylines Selection: Here, you find 20 paylines and they are all fixed. Coin Values: You can pick and choose from the following coin values: 0.01, 0.02, 0.05, 0.10, 0.20, 0.50 and 1.00. If you are wondering what the wild symbol is, it is represented by a round-shaped robot object with a blue W in the middle. The wild acts as a substitute and it can replace all the symbols on the reels of Wild-O-Tron 3000™ Slot. If you land 3, 4 or 5 of these symbols on a payline, you can bask in 1.5, 5 or 25 times your total stakes. This feature can be activated at the beginning of every spin in the main game of Wild-O-Tron 3000™ Slot. As the feature is launched, all the occurrences of one up to 6 robot symbols can transform into wilds. Are you ready to check out this outstanding slot machine? Do you want to enjoy the show of the reels spinning on its own on Wild-O-Tron 3000™ Slot? Press on the AutoPlay button and select the number of spins that will play automatically. It includes: 10, 25, 50, 100, 250, 500, 750 and 1000.